March 31 – May 2, 2016. Closing Reception and Forum, a 17-minute film, music, and conversation: Sunday, May 1, 7-9pm. A 17-minute film, “The Magic Lantern Along the Pennine Way” will be shown at C.X. Silver Gallery Sunday evening, May 1, 2016, as part of the closing reception for Susan Brearey’s exhibition and book launch, Elemental Images, with music by Tim Eriksen, and afterwards a forum/conversation. The public is invited to this free event. Brearey is featured in the film. “This was my summer collaboration with artist, Dylan Stone, and American musician, Tim Eriksen in England,” says Sue. “We spent 12 days working in the northern Peak’s District of England along the scenic national trail called the Pennine Way, which stretches across 286 miles of mountain tops and crosses Hadrian’s Wall. British photographer and film maker Claire Nathan made a film of us making magic lantern slide paintings and drawings while Tim created the music on site. It’s a journey of sorts of three artists finding inspiration in this amazing landscape with a nod to John Constable and his wonderful sky paintings.” The film, produced by Barbara Stone, participated in festival circuits in Europe and in the states. Tim Eriksen will be there to play a song or two from the film. Putney alumna, Willa Van Nostrand, took part as production assistant and on-site chef on the film site. Susan Brearey is an internationally acclaimed artist whose nature-inspired work has appeared in galleries abroad and throughout the United States. She is also a singer, and has performed in one of the Club 47 concerts that brought musicians David Amram and Judy Collins to the Putney School. Susan teaches drawing and painting at Putney, curates the exhibitions in the gallery of the Michael S. Currier Center, and coordinates performances and music festivals. Susan works with the students who design and hand-craft a unique diploma for each graduating senior. The Tim Eriksen Trio, collaborating with Susan Brearey’s paintings and projections, presented Magic Lantern Theater: Songs, Stories and Projections From an Imaginary New England Village in Northampton, MA on April 22, 2016 at The Parlor Room in Northampton, MA. A mysterious trunk found in a Yankee attic, full of leatherbound tunebooks, letters, musical instruments, 8 track tapes, a handwritten sheaf of ballads, a machete and even an old “magic lantern:” an ancient projector, with a box of painted glass slides. Was this the trunk Silas had been looking for? The one his antiquarian great uncle promised would be full of missing verses, answers to family mysteries, the truth behind local legends, even the details of Silas’s own murky past? The Tim Eriksen Trio and painter Susan Brearey take you to Pumpkintown, revealing the mysteries of the trunk and the curious multicultural history of the village itself, through songs, stories and magic lantern projections. Tim Eriksen: Voice, Banjo, Bajo Sexto. Zoë Darrow: Voice, Fiddle. Peter Irvine: Voice, Percussion. 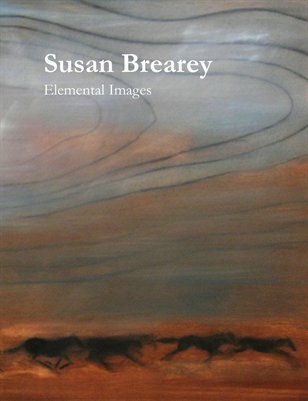 Susan Brearey: Paintings, Projections. The Music: Old New England ballads, shape-note harmony, breakneck fiddle tunes, Afro-Celtic Yankee gospel and songs not in English. The Painting and Projections: Graveyards and snowmobiles, ferns, wolves and the village church, alongside repurposed and reimagined historical slides. The Stories: Mice that sing, a woman back from the grave, a breastbone fiddle, the time Zoë and Peter opened for Vice President Al Gore, the end of the world. This program is supported by a grant from the Northampton Arts Council, a local agency which is supported by the Massachusetts Cultural Council, a state agency.